Wild Jackpots Casino is owned by GoWild Malta Limited Casinos, and is licensed by the Malta Gaming Authority. Wild Jackpots Casino was established in 2014 and is licensed by the Malta Gaming Authority. The site is owned by Go Wild Malta Limited Casinos, and players should be happy to know that the site comes in an instant play, download and mobile platform, allowing players the option to pick which alternative they are most comfortable with. The Wild Jackpots Casino is based on a Microgaming, which players will know is a top class software company. 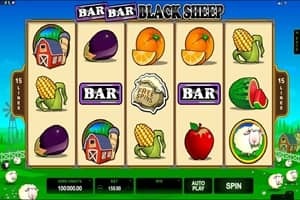 The casino prides itself on its large selection of slots, so players can rest assured that they will come across some of the most thrilling titles on the market, including The Dark Knight, Mega Moolah and Cash Splash. 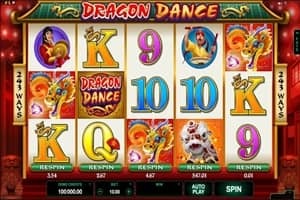 These titles are not only thrilling because of their graphics, but because they offer large progressive jackpots, which ensure that players have the chance to win big with every spin. The site also offers non-progressive slots, including Jurassic Park, Thunderstruck II and Immortal Romance. The casino has not left out table games, so players can rest assured they will have a wide selection of top class games to choose from. 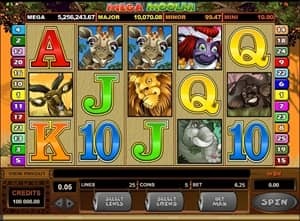 Wild Jackpots Casino offers just about everything, including roulette, blackjack, baccarat and poker, including different varieties of the various titles, so even fans of the games will have a lot to look forward to when they choose to play within this casino. 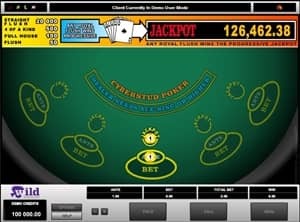 Video poker is something that no quality casino can do without, which is why this site offers many variations of this game, including Louisiana Double, Jacks or Better, Tens or Better, Deuces Wild and Deuces & Joker, among many others. For something a little different, players have the option of trying their hand at some of the thrilling scratch games the site has to offer. The addition of these games means that players always have something a little different to look forward as they explore the various sections of the site. 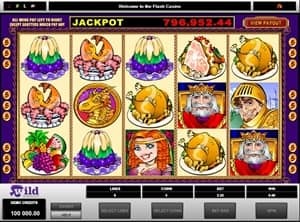 The live casino section being offered by Wild Jackpots Casino brings land based casinos right to the players’ doors. Here, players can try their hands at games like blackjack, baccarat and roulette. The games are actually broadcast live using webcam technology, and they follow the same rules as the games featured in land based casinos, which means that players will get a more reality-based experience within these sections of the casino. This is something that should appeal to the more experienced players. 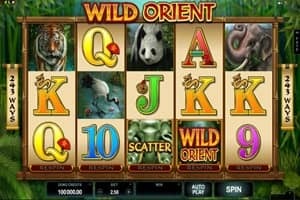 The mobile version of Wild Jackpots Casino can be accessed via tablet or smartphone. To access the website via their mobile device, players simply need to visit the website from one of these devices. Players will not need to wait for a download before they start playing. There are a wide range of bonuses and promotions being offered by Wild Jackpots Casino, and one of the most exciting offerings is the special welcome offer, where players can claim a sizeable number of free spins or a sizeable cash bonus. To claim their winnings on this bonus, players will have to wager the bonus at least 40x. The Wild Jackpots Casino opening offer gives players the chance to claim a deposit bonus, as well as free spins that can be used on the popular Avalon title. Once again, this bonus will need to be wagered at least 40x. The reload bonus keeps things interesting, and returning players can take advantage of this after they claim the Wild Jackpots Casino opening offer. The Midnight Rush bonus gives night owls the chance to claim free spins on the Avalon or Rabbit in the Hat slots, as well as a deposit bonus between the hours of 00:00 GMT and 06:00 GMT. The Weekend Starter is available every Saturday and offers a variety of exciting prizes and games. The Super Spin Madness takes place each Thursday, during which time players can grab free spins on the SunTide or Avalon slots. Mondays are looking up at Wild Jackpots Casino with Spin it to Win it Mondays, during which players can once again claim free spins. To keep things fair and secure, the site uses 128-bit SSL encryption technology, offered by COMODO. To check up on the fairness of the site, players simply need to look to the Percentage Payout Reviewed seal, which is placed at the bottom of the site – this will take players to the eCOGRA audit, which is an independent tester of fairness. Customer service is available quickly and easily through the live chat feature on a 24/7 basis, so players can get the information they need, the moment that they need it. Players also have the option of getting in touch with the site through email or the toll free phone, which is available in a variety of countries. After being introduced to the market in 2014, Wild Jackpots Casino has quickly come to offer players a really great experience when they sign up for accounts with the site. Although US players are not able to sign up for accounts at this time, those who are able will be happy to know that they have a variety of bonuses that they can take advantage of within a secure and fair playing platform. The site is built on a Microgaming platform, so players can rest assured that they will have some of the most exciting games in the industry to choose from. Overall, the site is a thrilling new addition to any experienced player’s repertoire.